Chester is the county town of Cheshire, England. It is situated on the River Dee, close to the border with Wales, and is one of the best-preserved walled cities in the country. It is the main settlement in the City of Chester local government district. Although Chester is a city and Warrington is not. 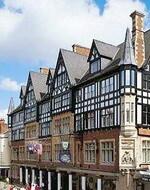 The wider City of Chester district has a population of around 120,000. The adjective associated with the city is Cestrian. The patron saint of Chester is Saint Werburgh. The city's motto is 'Antiqui Colant Antiquum Dierum', which translates as 'Let the Ancients worship the Ancient of Days'. The city is a popular shopping centre, with its unique 'Rows' or galleries (basically two levels of shops) which date from medieval times. The city is heavily populated by chain stores both in the centre and on retail parks to the west, and also features two indoor shopping centres, an indoor market and a department store, Browns of Chester, once known as 'the Harrods of the North', now absorbed by the Debenhams chain. There are two main indoor shopping centres, The Grosvenor Mall and the Forum. The latter refers to the city's Roman past, and is to be demolished in the Northgate Development to make way for new shopping streets, a new indoor market, a new library and a performing arts centre. This large beautiful hotel, set in the heart of Chesters city centre, offers the perfect base for touring or simply relaxing. 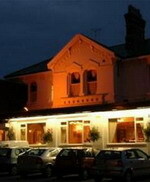 Situated 50 yards from Chester railway station and 20 miles from Manchester Airport. Some of our rooms have been recently refurbished to a high standard and our executive rooms have ipod docking stations, flat screen televisions and some have seperate seating areas. We have teamed up with Chester Zoo and can offer discounted Zoo tickets saving up to £5 per person! Our restaurant has a great and affordable menu and children under 10 eat free off the childrens menu when dining with an adult. 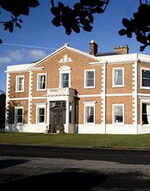 Less than a mile from the centre of Chester, Buckingham House is the ideal choice for visitors to this historic city. Buckingham House not only offers comfortable accommodation at reasonable rates, but its owner, Mrs Terri Gray, ensures that most people "arrive as guests, but leave as friends". Terri has an enthusiasm for Chester that gives visitors, both new and returning, the opportunity to learn more of its history and enjoy more of its present attractions, whenever they pass through. Buckingham House has visitors from all over the world. Whether flying to Manchester or Liverpool Chester is only 45 min. drive away. Chester Railway Station is 10 minutes by taxi. 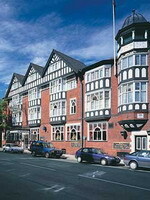 Dating back to 1865, The Chester Grosvenor and Spa is located in the heart of the historic city of Chester. The property is perfectly situated for visiting all the historic sites, including the Roman walls, amphitheatre and Chester Cathedral. Chester Grosvenor is set in the northwest of England, close to the motorway network, north Wales, Liverpool, Manchester and the Lake District. The hotel has 66 individually designed bedrooms and 14 stylish suites, all separately designed and beautifully furnished with the finest fabrics. Each room is unique, and the decor and furnishings reflect the hotel's emphasis on combining comfort with elegance. There are two award-winning restaurants at the onsite that offers you an impressive dining experiences. With five treatment rooms, a steam room, herb sauna and relaxation room, the spa at the premises, offers a comprehensive list of treatments and spa packages, designed to harmonise body and mind. 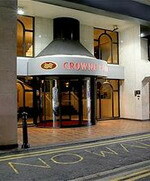 The Crowne Plaza is perfectly located for visiting all the historical sites of Chester and is also a number one choice for all your business needs. Located on the edge of Chester with panoramic views of the city and Welsh hills, the Crowne Plaza is within 2 kilometres from the train station. The hotel is also close to Roman walls, amphitheatre and Chester Cathedral. All the 160 air-conditioned guestrooms at the hotel are stylishly designed and well equipped with several modern amenities. 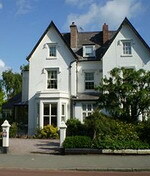 Most of the rooms offer stunning views of the famous Chester Racecourse and the Welsh hills. Overlooking the racecourse and also offering panoramic views of the Welsh hills, the onsite Silks Restaurant serves a selection of traditional home cooked wholesome dishes using the finest ingredients. In addition, the Silk Lounge is an ideal place to sit back and sip a drink. A fully equipped gymnasium and swimming pool are also available onsite for health conscious guests. Ideally located for you to explore Chester and the surrounding countryside, the Dene offers excellent accommodation and superb dining. 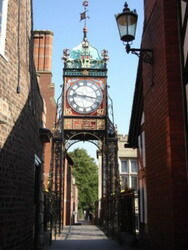 Awash with history and heritage, enchanting Chester bustles with vibrant city life. A leisurely stroll around the most complete walled city in Britain reveals stunning elevated views. In the centre the unique galleries Rows provide undercover walkways on two levels dating back to the Middle Ages, and some of the best shopping in England. With its striking architecture, glorious cathedral, ancient ruins and entertainment galore, it's not surprising that this historic gem was voted winner of the 'Best Break' tourism award. Chester is also a popular gateway to the ancient castles and countryside of North Wales. Set on the outskirts of historic Chester and surrounded by five acres of landscaped gardens, the elegant Doubletree by Hilton Chester hotel provides luxurious accommodation only a few minutes from the city center. This carefully restored 18th century manor house beautifully combines the past and present, offering modern comforts and conveniences with traditional styling and décor, resulting in a stylish yet classical ambiance. The Doubletree by Hilton Chester hotel’s outstanding facilities include a Grade II English Heritage listed conservatory and a luxury day Spa, due to open in autumn, 2009. Well connected to the city and only a 40 minute drive from both Manchester and Liverpool’s airports, the hotel is an ideal venue for unforgettable weddings, business conferences and luxurious leisure breaks.